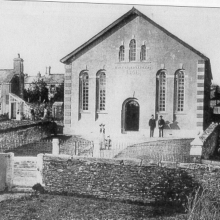 People are at the heart of CHAHP – volunteers, local experts, existing residents, landowners, farmers, visitors, people with stories to tell and people who want to find out more. 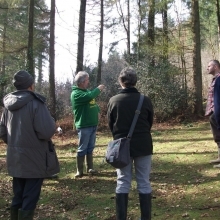 There’s a huge amount of work going on in the area, initiated by local communities and supported by CHAHP, that’s helping to conserve and promote what’s special about the area’s landscape and heritage. Some of the groups in the area are long-established and others have only recently been set up, but they’re all working on projects that are important to the group and to the community as a whole. If you’re part of a group or project you’d like to feature here, please get in touch or if you’re interested in joining or starting a group or project find out more about how to get involved. 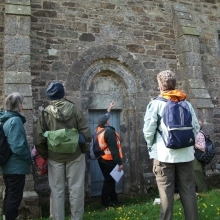 Work in this programme area is focusing on conservation management, surveying sites of significance and helping people get involved in their local environment. 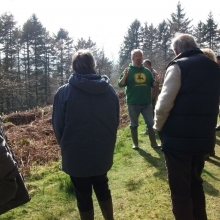 Support from local residents, relevant landowners, land managers and the St Cleer and District Commoners Association is enabling beneficial projects involving habitat management, skills-sharing, raising awareness and hands-on activities. In an area with such a high concentration of historical and archaeological sites and features of national and international importance, there are already many projects underway to survey, protect and conserve them. Work is also taking place to raise awareness of these important reminders of our cultural legacy and put them in the context of their historical and physical setting. 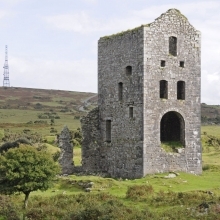 Caradon Hill is one of ten areas in the region that make up the Cornwall and West Devon Mining Landscape World Heritage Site, recognising the mining sites and structures as of international importance. One of the key priorities highlighted by the public during the early consultation stages of CHAHP was to conserve the area’s mining heritage and improve access to it, so that’s an important element of all of the work CHAHP is supporting, alongside the structural consolidation of these impressive mine complexes. CHAHP works closely with farmers, landowners and commoners, helping with environmental grants, management plans and access improvements. It’s important that work carried out to improve access to the landscape and special sites is sustainable, so a key part of the work in this area involves education and awareness. Maintaining and upgrading existing and historical paths and tracks is taking place alongside potential for new trails, such as the creation of part of the long distance cycle route, The Caradon Trail. A very important part of CHAHP is taking education and learning beyond the classroom and getting out into the communities and landscapes that the project is all about. Creating opportunities for everyone to get involved in the heritage of the area using traditional and innovative methods, the projects and events are developed in collaboration ensuring understanding and a sense of ownership carry on into the future. 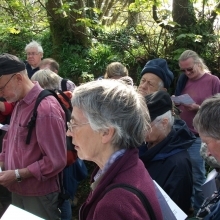 Examples of activities already supported include: a successful community play Gonamena, winter bird walks, hedge laying and willow weaving courses, a summer solstice sunrise walk, ‘Adopt an ancient monument’ scheme, St Cleer Parish Carnival, ‘It’s a Hard Rock Life’ mining exhibition and many other events.